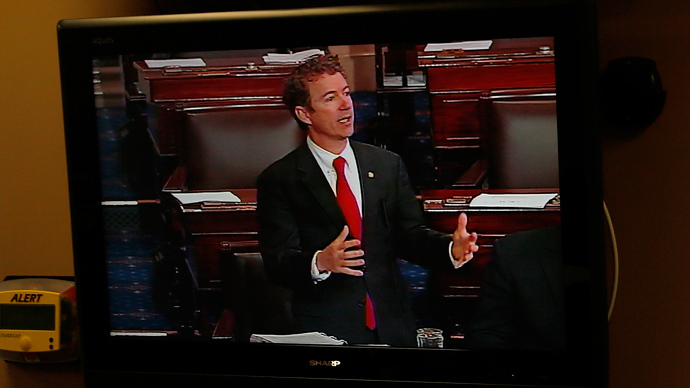 United States Senator Rand Paul (R-Kentucky) began a filibuster on the floor of the US Capitol Building on Wednesday with the intention of halting President Barack Obama’s nominee for the position of CIA director. Lawmakers in Washington were gathered to finalize plans to confirm John Brennan as the next head of the Central Intelligence Agency on Wednesday, but Sen. Paul took the floor just shy of 12 noon and told colleagues that he would speak out against the president’s pick for as long as he had to in order to prevent the appointment from being finalized. The son of former presidential contender and congressman Ron Paul continued for hours, gaining support from members of both major political parties in opposing the president’s nomination. “This is not about partisanship,” said the Republican senator, who claimed to have affirmed other choices made by the democratic president. 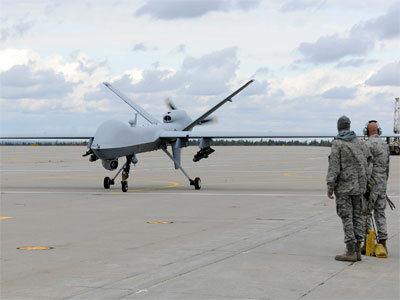 Rather, Sen. Paul said that the matter at hand — the use of unmanned aerial vehicles to execute US citizens without a trial — was one that was so polarizing that lawmakers from both sides of the aisle couldn’t help but align on his team. “It's not partisan against partisan; it's bipartisan working for the power of the checks and balances to try to ensure a leveling,” tweeted a member of the senator’s social media team during his address as it stretched into the evening. 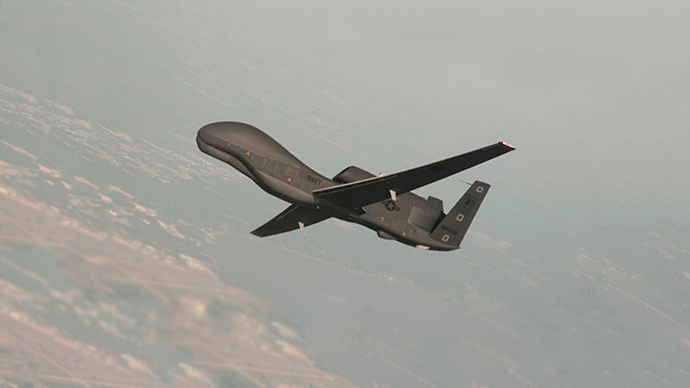 Sen. Paul has sent two letters to Mr. Brennan’s office asking for answers about the drone program operated overseas during Brennan’s tenure as a White House counterterrorism official, asking specifically for information about how the aircraft are used to execute US citizens suspected of terrorism overseas and whether that justification can be used domestically. On Tuesday, US Attorney General Eric Holder responded to a similar letter sent by Sen. Paul, confirming in part that American citizens residing within the US mainland could be subjected to extrajudicial executions approved by the Obama administration behind closed doors and not a court of law. “It is possible, I suppose, to imagine an extraordinary circumstance in which it would be necessary and appropriate under the Constitution and applicable laws of the United States for the President to authorize the military to use lethal force within the territory of the United States,” wrote Holder. 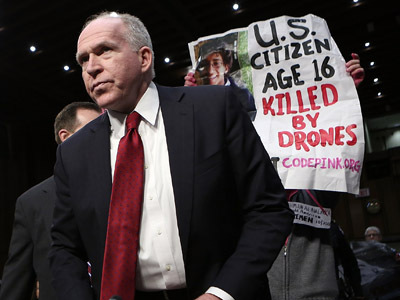 In a response from Mr. Brennan, the nominated CIA chief confirmed to Sen. Paul that drones were not being used on US soil, but did not say such an incident would be impossible. Dissatisfied with the reluctance of the White House to issue a formal answer to his precisely line of questioning, Sen. Paul on Wednesday said he would do everything in his power to stop the architect of the drone program from becoming the highest figure in the country’s intelligence community. Sen. Paul told his colleagues that he did not have a beef directly with Mr. Brennan, but was intent on making a point about the White House’s insistency on making closed-door decisions that affect each and every American. It was like “pulling teeth to get any answer from the president,” the senator said, vowing the he would continue to critique the Obama administration until they answered his questions in full. Paul also attacked the administration’s reluctance in sharing intelligence with not the American public but politicians like himself who were elected to represent their constituents. Being able to be killed by the government with no explanation, said Paul, was reason enough for every person in America to be concerned. Even still, though, he said the White House has refused to share intelligence deemed relevant to his investigation. Paul said he had problems with not just the administration’s justification to kill US citizens suspected of heinous crimes against the country, but the factors at hand in that decision making process. To some members of the intelligence community, said Paul, persons with pro-life bumper stickers and supporters of third-party candidates are deemed worthy of being investigated. “Sometimes accusations are made because people politically don’t like your point of view,” he added. 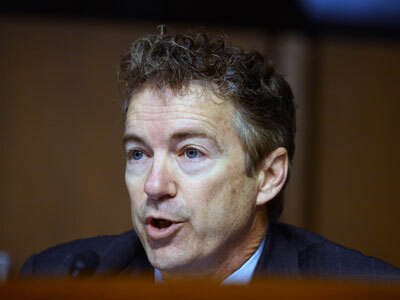 Sen. Paul said the administration is arguing otherwise, though, and that people singled out by Holder, Brennan or another White House official as being a threat to the country could be brought to death without ever being judged in court. That’s how the senator interpreted the White House’s lackluster response to his inquiry, at least, and during the filibuster he demanded that the president speak honestly about when, where and who drones could attack. 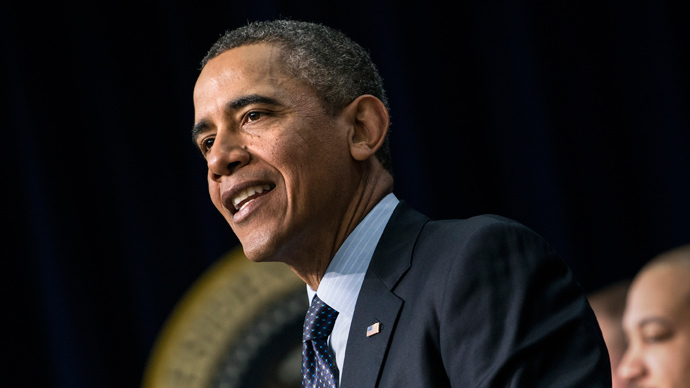 “I can’t understand the president’s unwillingness to say he’s not going to kill noncombatants. Think about that. He’s unwilling to say publicly that he’s not going to kill noncombatants,” said the senator.